The Shelton boys’ soccer team won at Yelm Thursday 3 to 1. The Highclimbers improve to 5-7-and-3 on the season, 5-6-and-2 in the South Sound Conference. Shelton is currently fifth in the standings and wrap up the regular season at third place Peninsula on Tuesday. The top six teams from the SSC make the West Central / Southwest District Tournament and it appears the ‘Climbers will play the number four team from the Greater St. Helen’s League (Hudson’s Bay or Prairie) at Olympia’s Ingersoll Stadium 6 PM May 9th. The Shelton girls’ tennis team lost at Peninsula 4 to 1 Thursday. The doubles team of Josie Beaudoin/Lindsi Smotherman was the one win for the Lady Highclimbers. Shelton hosts Capital today (Friday). The Mary M. Knight’s Kaylee Sowle and Ian Frost won five events Thursday at the C2BL “Crossover” at Rainier High School. Sowle took the girls’ long jump (with a season record distance of 16 feet 11 and a half inches), won the high jump and triple jump. Frost won the boys’ shot put and discus, and took 2nd in the boys’ javelin (with a season record throw of 126 feet, 6 inches). Jadyn Davidson was 2nd in the girls’ 200 meters (with a personal record time of 29.51 seconds). Kaleb Riggs placed 3rd in the boys’ 1600 meters. Zack Thompson was 4th in the boys’ javelin. 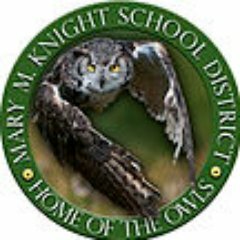 The Owls were the only Class 1B team to compete in the meet and in the team scoring the MMK boys were 4th while the girls placed 5th. Next up for the track and field team from Matlock is the 58th Annual Shelton Invitational Saturday. The North Mason boys track and field team beat Kingston Thursday 84 to 59 but lost to North Kitsap 103 to 42. The Lady Bulldogs lost to the Vikings 98 to 46 and fell to the Buccaneers 75 to 65. Natalie Carstensen won the girls’ 100 meters and took the 200 meters. Miller Campbell took the boys’ javelin. Braeden Kemmer won the boys’ long jump. The relay team of Kira Schwerzler, Morgan Shumaker, Sierra Morin and Natalie Carstensen took the girls’ 4 x 200. The relay team of Austin Williams, Braeden Kemmer, Daniel Hornbuckle and Reese Smelcer won the boys’ 4 x 100. Lilly Campbell won the girls’ discus and the girls’ javelin, and finished 3rd in the girls’ shot put. Austin Williams finished 2nd in the boys’ 100 meters. Kira Schwerzler was 2nd in the girls’ 100 meters. Michelle Swearingen placed 2nd the in the girls’ 200 meters. Rees Smelcer finished 2nd in the boys’ 400 meters and took 4th in the 100 meters. Savannah Knutson took 2nd in the girls’ 3200 meters. Charles Huff was 2nd in the boys’ pole vault. Christopher Ramsey placed 2nd in the boys’ long jump. Daniel Hornbuckle finished 2nd in the boys’ 300-meter hurdles and was 4th in the 110-meter hurdles. Isabella Porter placed 2nd in the girls’ 100-meter hurdles and the 300-meter hurdles. The relay team of Kira Schwerzler, Michelle Swearingen, Morgan Shumaker and Natalie Carstensen took 2nd in the girls’ 4 x 100. Felicity Fowler placed 3rd in the girls’ javelin and was 4th in the girls’ high jump. James Burch was 3rd in the boys’ 300-meter hurdles. Posiulai Tupolo took 3rd in the boys’ discus and 4th in the boys’ shot put. Nathan Fjeld placed 4th in the boys’ high jump. Seth Conner finished 4th in the boys’ triple jump. Next up for the track and field team from Belfair is the 58th Annual Shelton Invitational Saturday. The North Mason girls’ tennis team beat Bremerton 4 to 3 Thursday. The Lady Bulldogs play at North Kitsap Tuesday.